I've always had a passion for petrol whether is be cars or bikes its always been something i've loved being involved with. 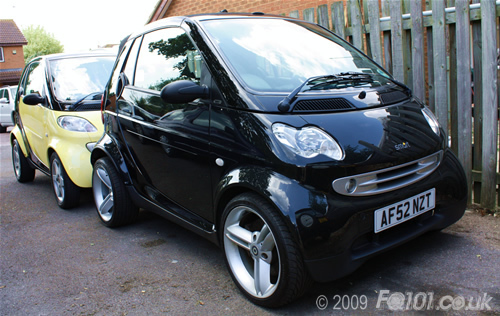 In 2001 I built a Tiger Super 6 kit car but needed a sensible car too, so I joined the Smart scene in 2002 with the purchase of a brand new Smart Pulse cabriolet. I signed up to the Smartclub almost instantly but was never very active, my first encounter with what I would consider to be a smart community was in December 2002. I was working away from home up in Bradford, I stayed in a travelodge somewhere outside Castleford, as I was leaving the car park to go and fetch some dinner in the evening, another smart, a silver cabrio was coming the other way, the chap wound down the window and asked if I was there for the meet. I didn’t have a clue what he was on about! I followed this random person down into a retail park where there must have been another 10 or so smarts. It turns out I had invaded the Funkysmart Christmas meal!! I then signed up on Funkysmart and the ‘true’ smarting started! I kept the car relatively standard throughout its warranty period, only changing the headunit, and adding a 15” Diamond M3 subwoofer in the boot! In the L2B 2004 I finally got the car mapped through Big Performance also adding one of his carbon air-scoops with a ‘club’ PiperX air filter. Through Funky I was introduced to a chap called Andy, who (originally) owned Smartsport, and made the famous Blindschleiche exhausts. I explained what I wanted to see, and the effect I wanted on my car, and he made me up an exhaust to suit. When I turned up for the fitting, the exhaust was still glowing red after being finished!! 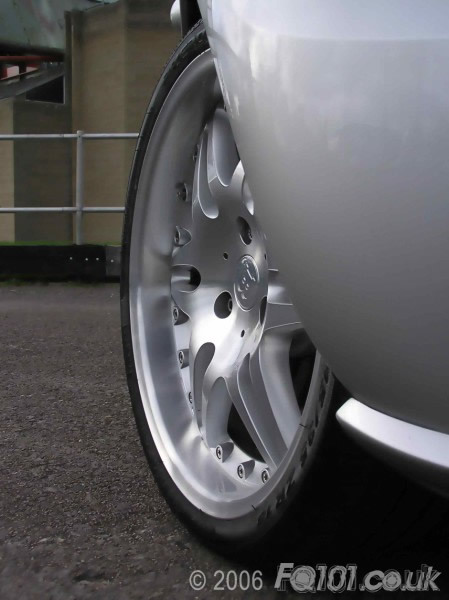 After sourcing some Roadster Spikelines alloys they were added to the car with a different tyres, this is now seen as a common mod although back then I was one of a couple in the UK. I had recently had a major shake up in my life, changing job, home and friends. I sold the Tiger and moved to Reading, where within my first week, I received a pm inviting me to a meet. This pm was from a chap called Justrules, and at the very same meet I was introduced to Jimmy Wong. 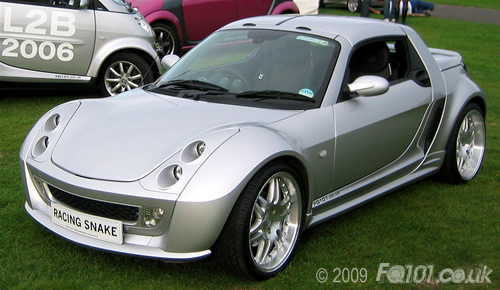 Late 2005 Smart announced the cessation of production of the roadster. My original intention was to keep hold of the cab for 5 years, then change to a roadster. Upon hearing this news, I decided to change my plans. I was originally looking to buy a second hand 80hp black roadster, but whilst looking I saw a silver Brabus xclusive, and decided I must have it. On 1st September 2005, I picked up a new xlcusive from Cambridge. Sadly, it wasn’t the experience I had hoped, and in the first 12 weeks of ownership it had been in the dealership for 10 of them. On that basis I rejected the car and got a replacement at the end of December 2005. 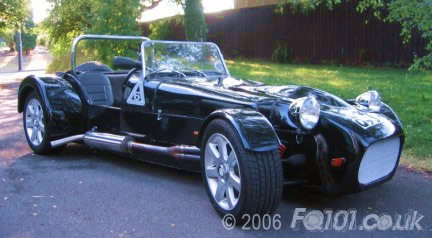 I was then able to start enjoying the roadster experience, adding the 18" wheels, buying and colour-coding the hardtop and modifying the engine. After 2 years with the Roadie, I made the agonising decision to bow out of smart ownership. It was lovely to drive and sometimes I do regret the decision, afterall, it was (is) a fantastic car. Having previously borrowed a Land Rover to move house, it seemed like a sensible replacement at the time! 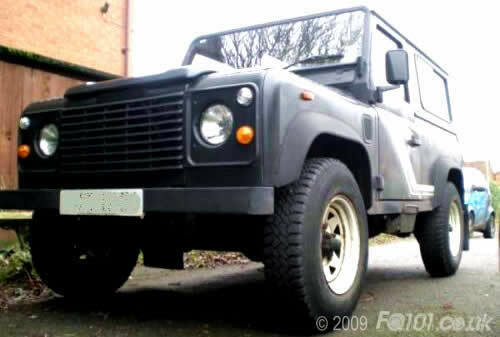 Ironically the Landy is the complete opposite of the Roadie, it's big, slow, smokey! can pull a train or go across fields. Obviously, I needed to fill the sports car void which the roadster left me with; circumstances with work meant that I was able to push the boat out and buy my dream car, a Ferrari. I'll admit to taking months to find the right car, but when i did it was worth it! I chose a 348TS in the iconic 'rosso/crema' combination, although I don't get to drive it daily, it's all worth it when I get to hear that V8 fire up, music to your ears! I managed about a year with the Land Rover, and as much fun as it was to drive, the economy and comfort (lack of) got the better of me. 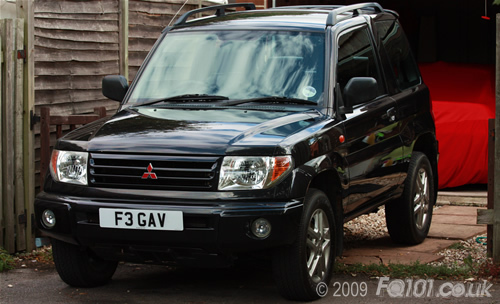 I liked the size and practicality the Land Rover provided so after looking around I decided to pick up a 'baby' shogun. A lot more comfortable and a lot smoother to drive than the Landy, the 'Pinin' is providing a great addition to the house!